Rev. Joel Beam graduated in 1989 with his Masters of Divinity degree from McCormick Theological Seminary in Chicago. Following graduation he served as a Chaplain at Bon Secours Hospital in Gross Pointe (now part of the Beaumont Hospital System). 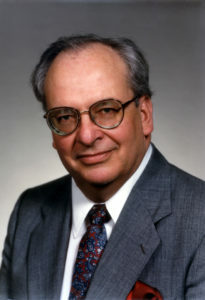 He came to the University of Michigan Medical Center in 1991 where he was chaplain for fifteen years. 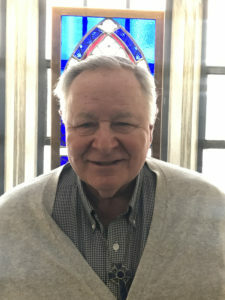 After his retirement, he accepted the position of Minister of Pastoral Care at the First Congregational Church of Ann Arbor. Many of you have known Rev. Beam in both of those capacities. Music has also been central to Joel’s ministerial career both as a singer and a choral conductor. Prior to his work as a chaplain, Joel worked in those roles for various churches including St. John’s Episcopal Church in Detroit. He and his wife Kathy have a daughter who is an Assistant Professor at Virginia Commonwealth University in Richmond, Virginia. They are especially thrilled to have a grandson, Toby, who will be one year old this October. Joel and Kathy have been long-time residents of Ann Arbor where they are active in the musical community. 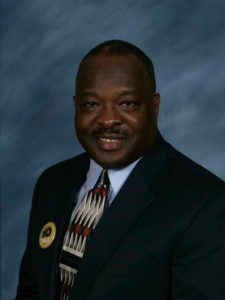 Eugene Blair served nine years as program staff and district superintendent in the Detroit Annual Conference. 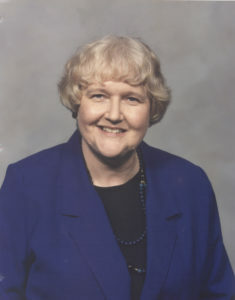 From 1994-2004, he served as the pastor of the newly formed Resurrection United Methodist Church in Chicago and the Director for Congregational Development for the Northern Illinois Conference. He studied at Bethel University and Seminary in St. Paul, MN (BS), the Methodist Theological School in Ohio (M.Div. ), and the Ecumenical Theological Seminary in Detroit (D.Min. ).He is a graduate, team member, and faculty of the Academy for Spiritual Formation. Before entering the ministry, he was a police officer and community organizer. He is a contributing author for Prayers for All People (Doubleday), Growing the African-American Church (Abingdon Press), The Africana Worship Book (Discipleship Resources), and The Upper Room Spiritual Formation Bible (Zondervan Press). In 2012, WinePress Publishing published his book Maybe God is Trying to Tell You Something-Listening for Your Call toMinistry. In 2009, Discipleship Resources published his book, What Kind of Man is Joseph, and What Kind of Man Are You? (A Bible Study for Men on Matthew 1 and 2). He is a member of the Academy for Spiritual Formation Forum. Gene lives in Ann Arbor, MI with his wife Dawn and two daughters: Nia and Imani. He is a youth counselor and teacher at the Washtenaw County Juvenile Detention Center. One of Gene’s special interests is using mindfulness and spirituality with juvenile offenders and youth in drug recovery. He also runs a STEM program for elementary students, Bricks 4 Kidz. After completing his high school education in Philadelphia, Chip went to Gettysburg College and then received an MBA degree from the Wharton School in Philadelphia. His career in business began with the Ford Motor Company in Detroit, MI where Chip worked for nine years. He decided to purchase a Lumber Yard and ACE Hardware in Lusk, Wyoming until the first oil shock damaged the economy causing him to sell the lumber yard. He then accepted a position with General Dynamics in St. Louis and stayed with the company for 18 years. Chip’s last years were spent with the tank division here in Michigan where he traveled to Turkey and Saudi Arabia for business projects. Chip started working on his Masters of Divinity at the Ecumenical Theological Seminary in Detroit during his last seven years at General Dynamics. Upon taking an early retirement, Chip traveled to McCormick Theology Seminary in Chicago to complete his last year. He was a Presbyterian Minister for thirteen years. Chip’s first church was in Caro, MI and his second church was in Houghton Lake. After working into his seventies, Chip retired a second time to spend time with his family and to spend summers in northern MI.